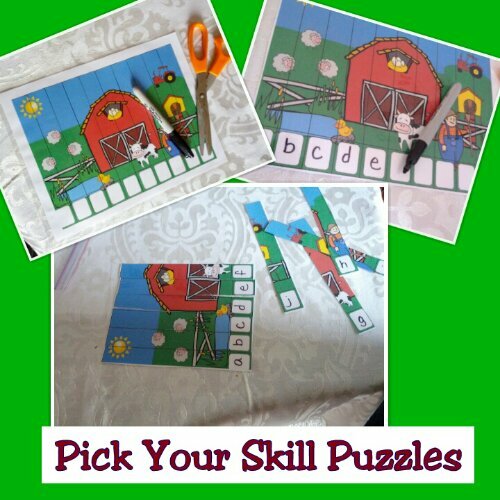 DOWN ON THE FARM - THEME UNIT - Lessons, printables, and much more! DOWN ON THE TEACHING FARM!!! 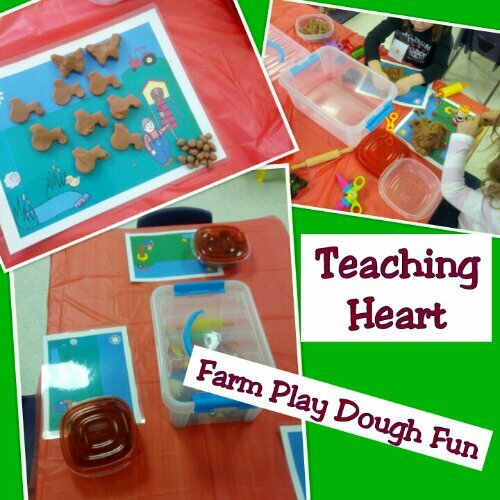 Welcome To Teaching Heart's Down on the Farm Unit/Theme! right place. So sit down on that pile of hay over there and make yourself at home on the farm. for you farm theme. O, watch where you step while exploring this unit, you may step over a good idea - don't miss a thing! I like to start units with a KWL chart. The students list what they know about the farm under K. They raise their hands, tell me something they know and I write it on the chart. Next they tell me some things they would like to know. I list those under the W. As we work on our farm theme we fill in things we learned under the the L.
We also discuss farm words. I have these words on cardstock with a picture that matches the word. 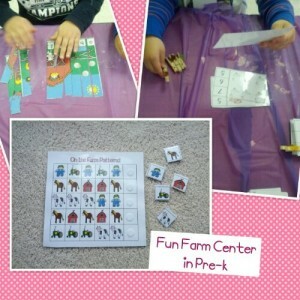 Our Farm Preschool and Kindergarten Packet will make your farm unit lots of learning fun! 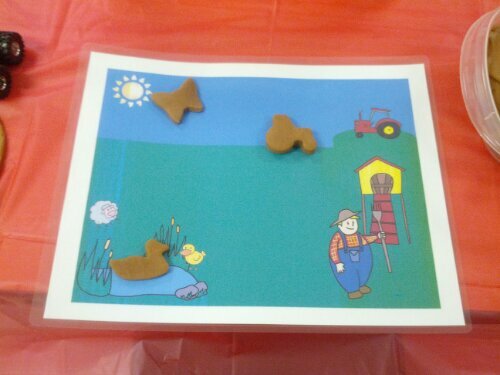 You can get these files to print and use ..
Click the Farm Fun Preview to see more pictures. Page 4 How Many on the Farm Worksheet. Students look at a farm picture and count how many they see of each given animal. Terms most and least are also used.. Page 5 to 12Counting Center. Print, laminate, and cut. Provide clothes pins. Student counts and marks how many with the clothespin. Page 13 to 15Patterning Activities. 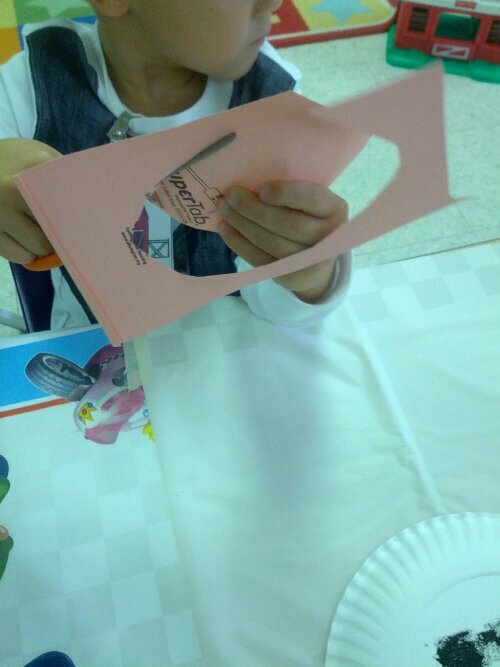 Velcro center and a cut and paste worksheet. Pages 16 to 18Graphing Fun Activity. Page 17 should be printed and displayed. Students look at page 17 to answer and fill in page 18.
) The fourth is a matching puzzle. 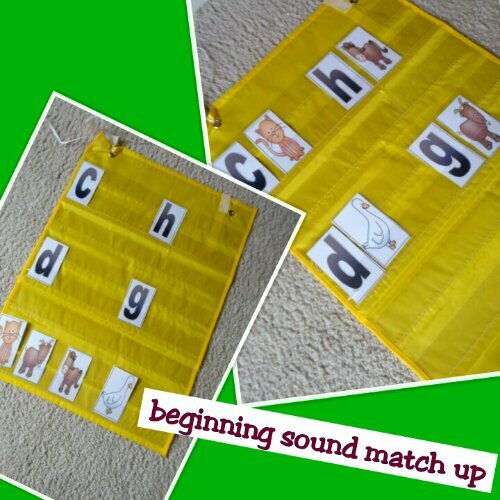 Page 24 30Beginning sound fun. Various activities for class instruction and individual practice. Page 31 to 33Animal FriendsA little cut and trace book. Students trace the words and numbers. They color and then cut out a smaller animal to glue on the hill in the background of the bigger animals box. 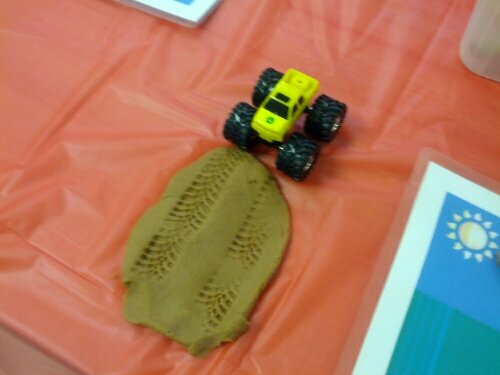 Page 34 to 35Fun with farm play-dough mats. 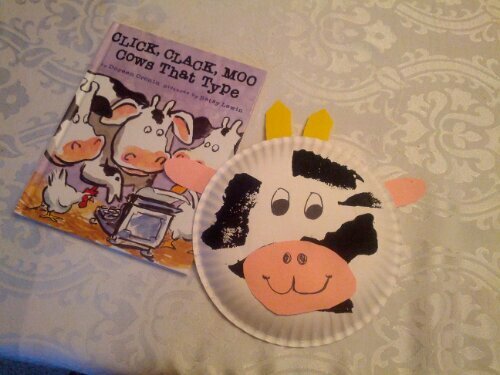 Page 36 to 37A cow themed craft with templates that goes along well with the story Click Clack Moo. 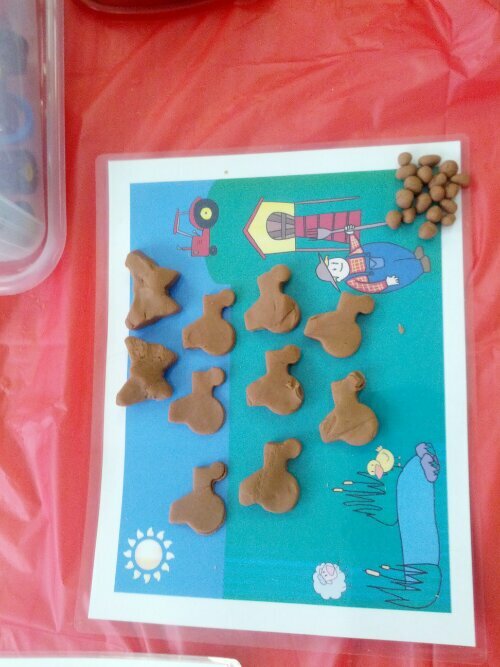 Page 38 to 41Guess the animal in the barn manipulatives to use during class instruction. Page 42 to 47Counting dots on cows and matching them to the correct number. Small center and larger class demonstration size. Page 48 to 51Five Black Cows Class Interactive Chart Pieces. 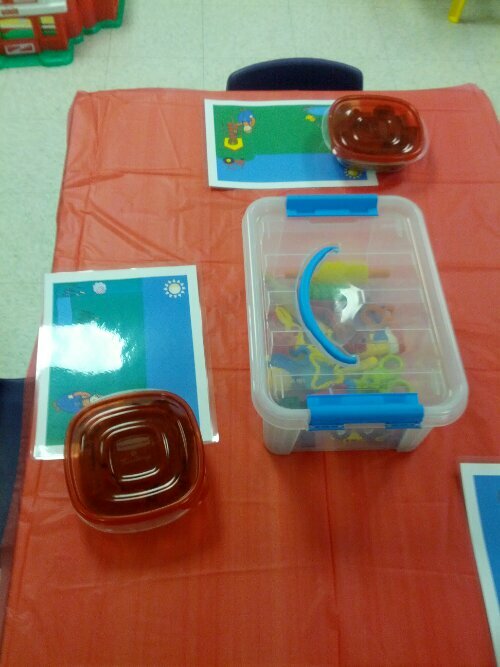 Everything you need to make an interactive display to go along with a fun counting poem. Page 52 to 54PIG CRAFTTemplates to create a pig using a balloon. Page 56 to 60A pig themed finger play written by C. Gallagher. 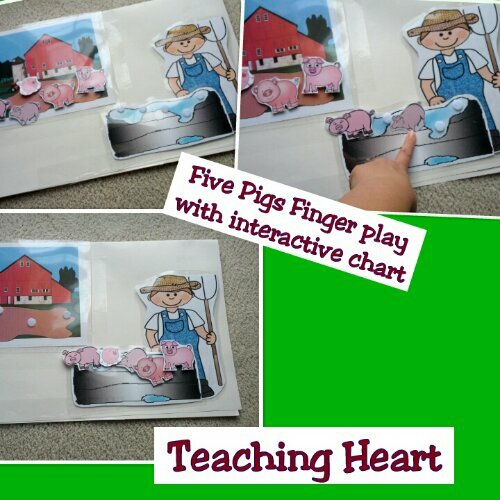 Includes graphics to create a interactive chart to use with the finger play! 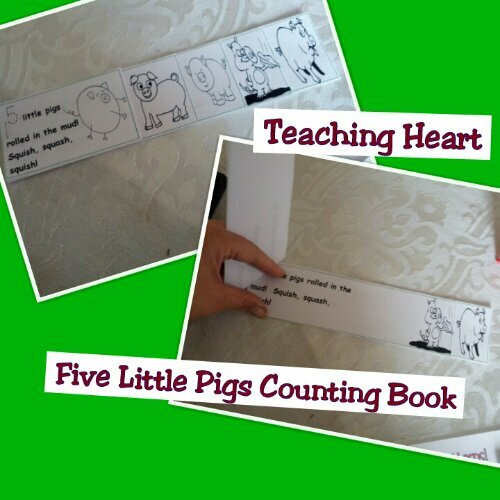 Page 61 to 63 Five pigs interactive book for students to make. Coloring and tracing involved. Great activity to use after using the chart on 56 to 60. 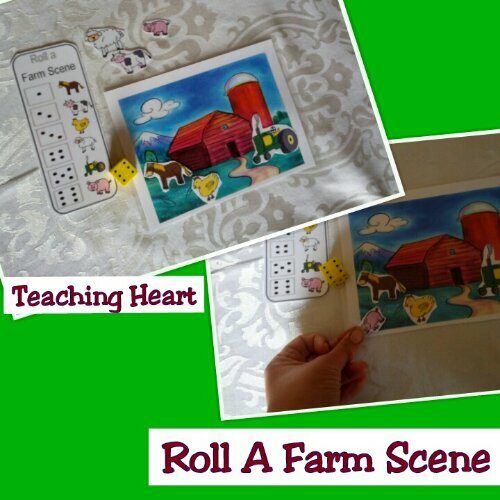 Page 64 to 66 Roll a Farm Scene GameAll materials need to make game. Just supply dice. Page 67 to 70T is for Tractor and Turkey Craft. Includes patterns and a fun idea for a creative craft using the students picture. Page 73 76A fun counting game played in small groups. Everything you need to play the game is included. Teacher holds up a pig and says what sound do you hear in the middle of this word and a student says /i/. Teacher holds up a dog and asks what the students hear at the the end of this word and the students say /g/. Have each student bring in their favorite fruit or veggie that is either brown, orange, green, or yellow. Graph the colors of food brought in. The student love it when I bring in my bread machine. This makes for a great math lesson. Make the bread with the class and then have each student make their own butter to place on the bread. I print this on chart paper. Place some heavy cream (whipping cream) in a baby food jar. Fill each jar half way with the cream. Insert a clean marble into the jar.. Have the students shake the jar. Next, mix in a pinch of salt and a few drops of yellow food coloring. Spread the butter on the bread for your students to taste. Allow the students to take home their butter to share with their family. After the class finishes this activity, have each student write about how to make butter. 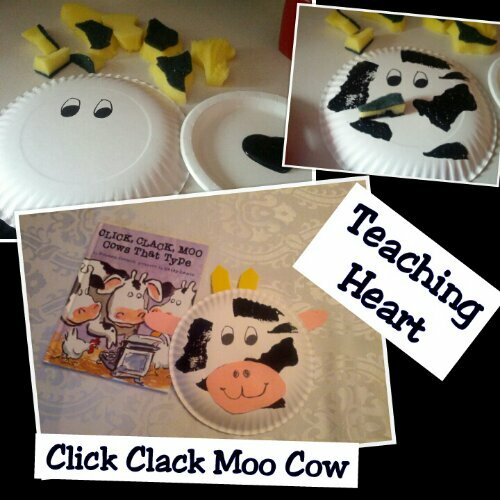 Heres a cute craft idea that goes great with the story Click Clack Moo, Cows that Type. After reading story we did various cow themed activities and this was one of them. The template for the mouth, ears, and horns will be on the farm packet - click here to learn more. 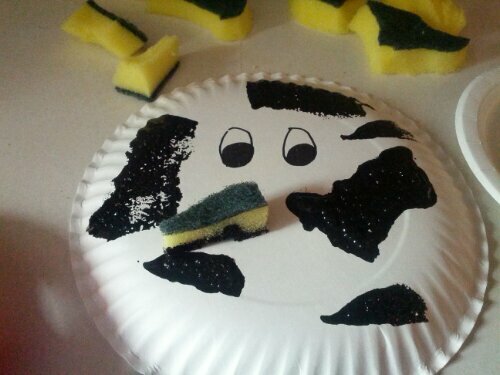 Sponges that you cut up to resemble cow spots. For the kiddos I did this craft with (4 year olds), In advance I cut and taped the ears and horns on. I had them draw the eyes. I drew the mouth circles on the pink paper. They added the nose and mouth. Then they cut out the pink mouth circles. I should have taken a picture of the various finished ones done by the kids. They all looked different and very cute!! 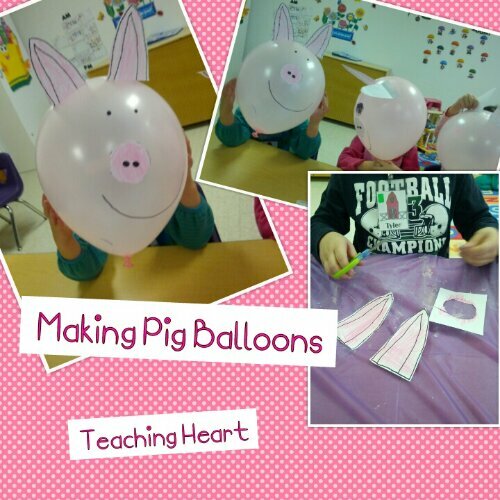 An Easy Piggy Balloon Craft. 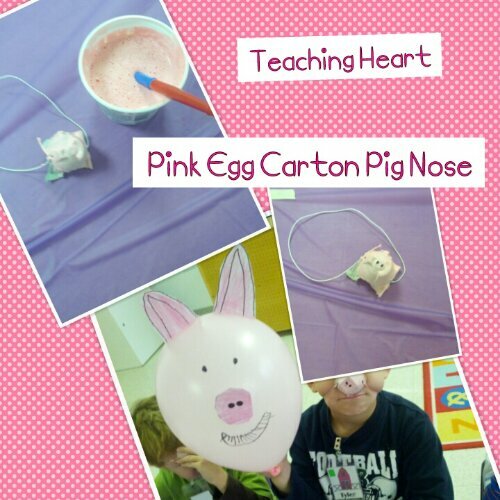 Templates used for the eyes and nose of the pig come from the Teaching Heart Farm Packet  found here! what do you think? 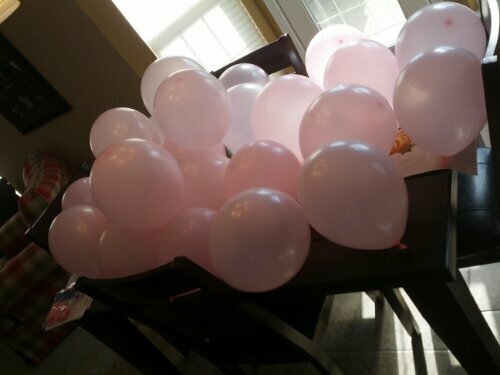 Out of 24, only one popped before the end of the day. They all looked really cute too! Click on a book to learn more at Amazon! Great Teacher Resource with many ideas and ready to use activity sheets! 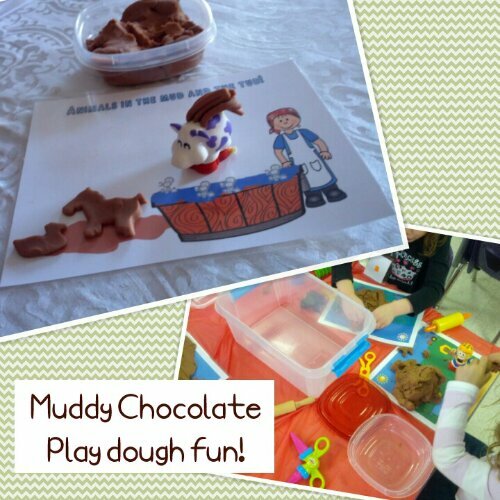 I wanted to create a mud themed play-dough for my farm themed play-dough mats that are part of my farm packet  click here. I feel like a play-dough pro now since I have made many kinds of play-dough over the past year. I came up with this recipe on my own and it turned out great. It smells so good, I almost wanted to taste it. I didnt  could you imagine with all that salt? 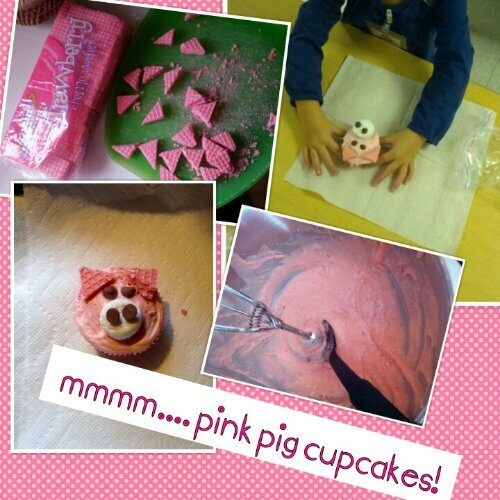 This make a large batch for many students to enjoy. I set the dough at my play-dough center in Pre-School and it was lots of fun. The mats are from the farm packet (click here to see the packet)! I just laminate them once they are printed. I love the eggs that came out of the chicken coop, dont you? 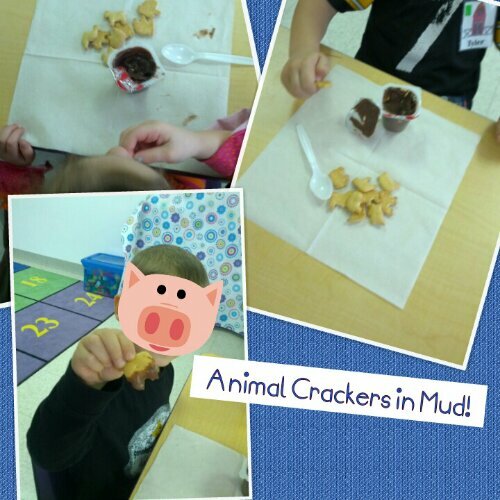 A fun follow-up activity for this poem is creating edible mud with your class. You may want to previously open the pudding cups and place the remaining ingredients inside a ziploc bag for the students. This helps the process run more smoothly, and they will be excited enough as it is! 1.Open ziploc bag and remove gummy worms. 2. "Bury" the gummy worms in the pudding cup. 3. Reseal the ziploc and use fists to pound the Oreos into "dirt". 4. Sprinkle Oreo crumbs on top. 5.Pick up "shovels" (spoons) and dig in! 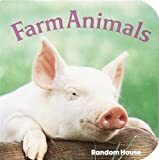 Each student creates an easy to read book by filling in blanks, illustrating, and coloring farm picture. Page 5: Student draws a farm picture. Page 6: I see _______ chickens getting ready to lay eggs. 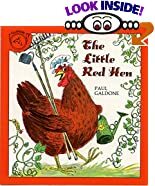 The chicken say, "Cluck!" Now the book can be read at home! Give your students farm stationary and have them write a story on it. 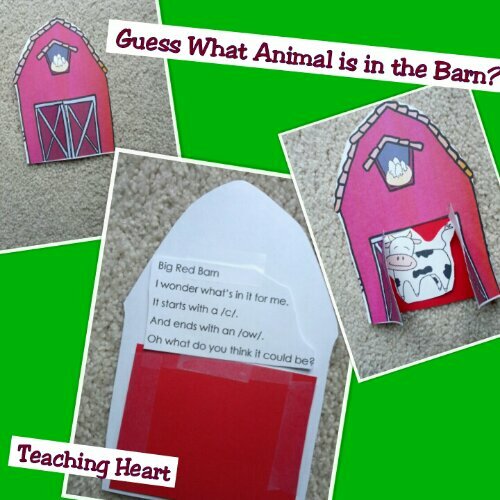 Have your students write about what the see, hear, smell, and taste in the barnyard. to share with you class while you study farm. Click on a video to learn more! 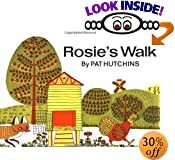 Great Poems, Songs, & Fingerplays for your unit! Animals live on a farm, on a farm, on a farm. 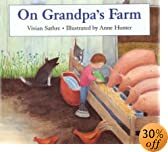 Animals live on a farm, with the farmer. Cows and pigs live on a farm, on a farm, on a farm. Cows and pigs live on a farm, with the farmer. Goats and sheep live on a farm, on a farm, on a farm. Goats and sheep live on a farm, with the farmer. Hens and chicks live on a farm, on a farm, on a farm. Hens and chicks live on a farm, with the farmer. Show me the cows, pigs and horses, too. If they don't lay it's a shame. 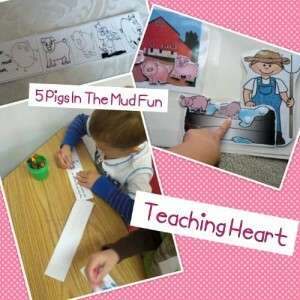 We learned the piggy mud finger play found in my farm packet here. 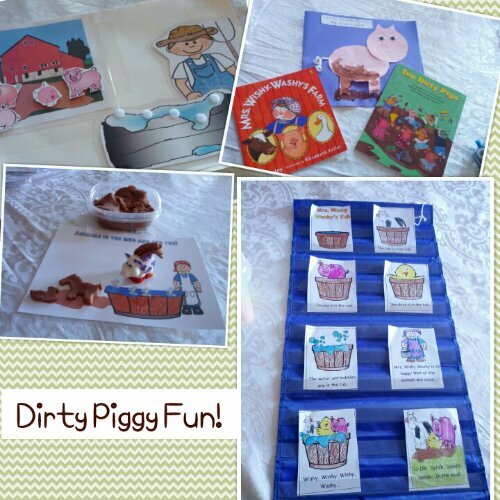 After we did the finger play a few times and saw it acted out on the manipulative ( all pieces in the farm set here), we completed the piggy little book (in farm packet). The little book helps the kids count backwards like in the finger play found in the set. 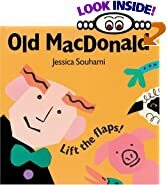 As the children turn the page of the little book a pig disappears. Great to take home when they are done. Patterns, counting puzzles, and more  all from the packet found here! Some dirty piggy fun to share from our new farm packet found here on e-junkie! 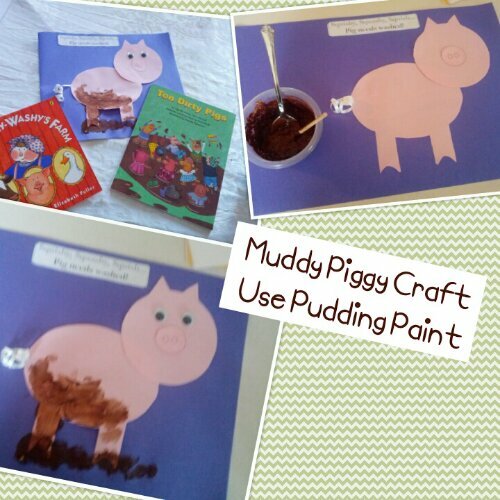 Here is a muddy piggy craft that is fun to complete after you read two of my favorite books with muddy piggies in them! 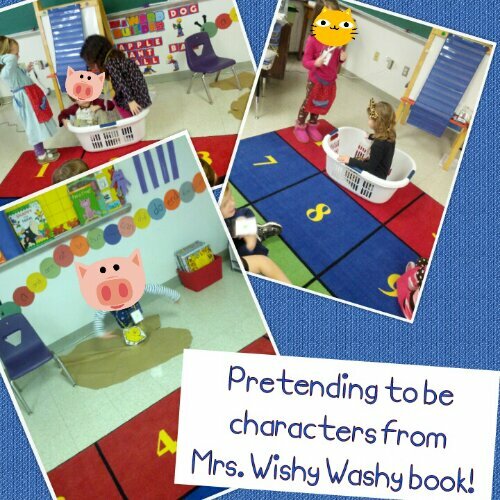 Mrs. Wishy Washys Farm and Ten Dirty Pigs! Here is a fun printable book that is a great way for students to retell the story in class. We colored this book after reading Mrs. Wishy Washy!!! The book is on our farm packet found here ! 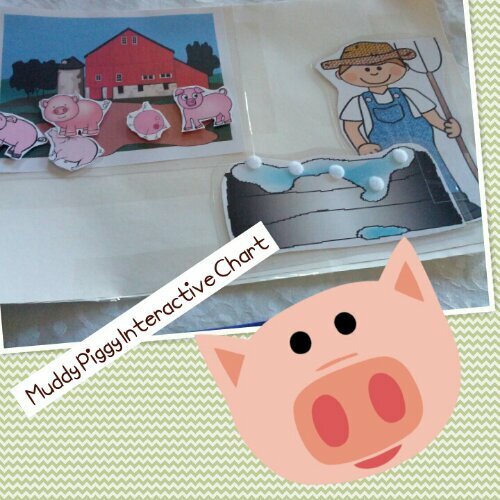 This interactive chart about five clean and then later dirty pigs is hands-on fun and is part of our farm packet found here! it has been a couple of weeks and when I pulled this out it was still soft and smelled o-so yummy!!! 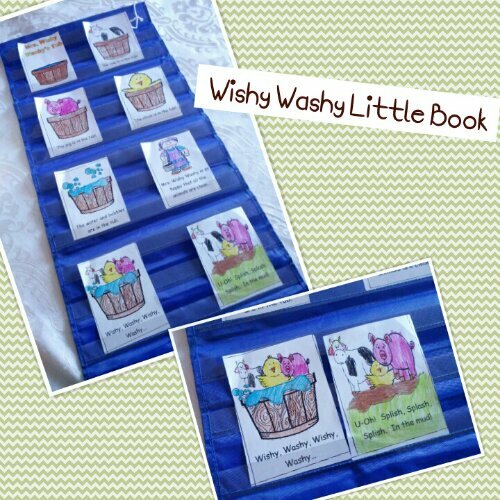 This time we used it with the Mrs. Wishy Washy Dirty Animals Play-dough mats found in this set!!! 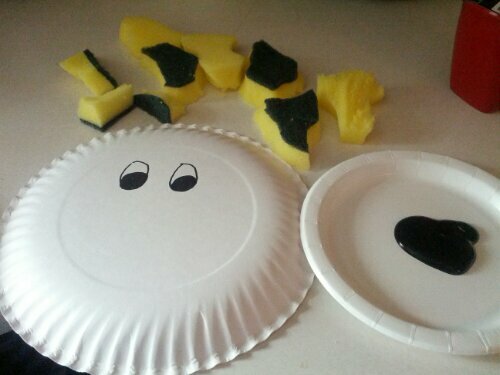 For an easy & fun snack to match the book we ate animal crackers and chocolate pudding. The kids dipped the animal crackers in the mud. For mud I used pudding, oatmeal, rice, corn, and flour all mixed together. 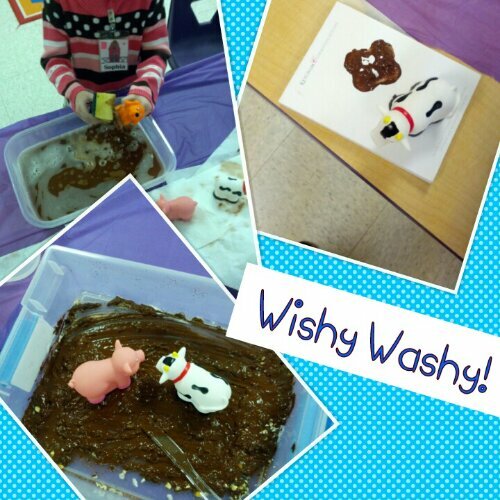 As you can see we has quite a mud filled day thanks to the story Mrs. Wishy Washy that inspired it all! corner along with some of these farm books Click on a book to learn more! Herd of Cows! Flock of Sheep! 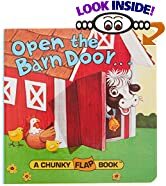 This is my favorite farm pop-up book. You are introduced to all the farm animals. The words are catchy! Try the links below for ideas to match this book! Some ideas to match this book can be found by following the links below! My Favorite Links To Other Farm Goodies! Say the name of the farm animal. Listen to the beginning sound of the word. Click on the correct letter of the alphabet.